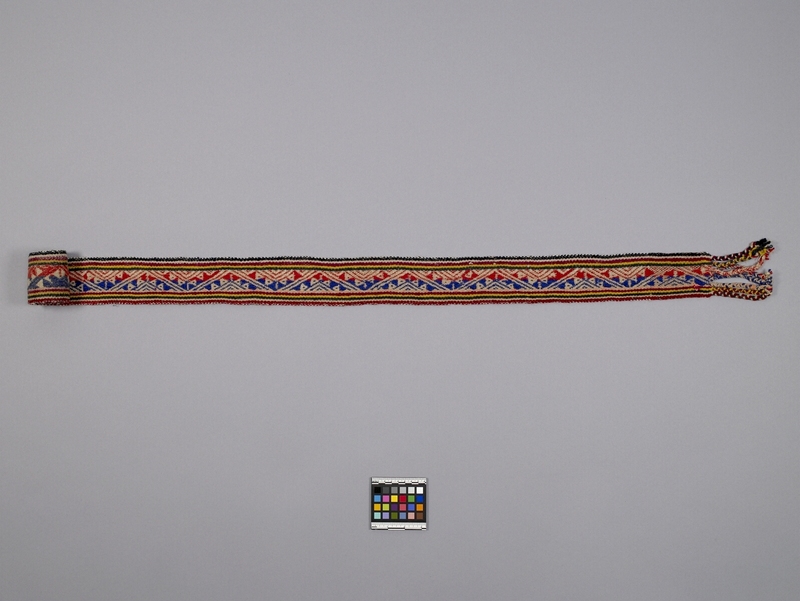 Item number H1.106 from the MOA: University of British Columbia. 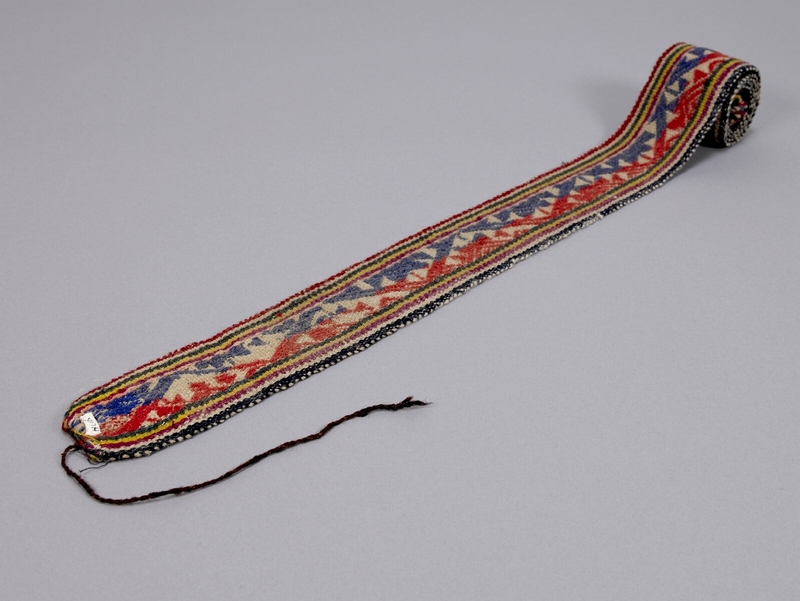 Sash with geometric designs in red and blue on light brown at the centre. The borders are formed by bands of reddish-purple, yellow, green, light brown and red. Finished with a braided fringe at one end and a length of twined brown wool at the opposite end.